All-wheel drive SUVs increase your vehicle’s grip on the road, providing you with superior traction and handling, even if you’re driving through less than ideal conditions. This safety feature will help increase your driving confidence, and buying a pre-owned model will give you that peace of mind for a great deal. Shop for pre-owned all-wheel-drive SUVs for sale in Indianapolis at O'Brien Toyota to find the right vehicle at the right price today! CARFAX 1-Owner, LOW MILES - 27,798! PRICED TO MOVE $400 below NADA Retail!, FUEL EFFICIENT 28 MPG Hwy/21 MPG City! CD Player, iPod/MP3 Input, Dual Zone A/C, Onboard Communications System, Turbo Charged, Aluminum Wheels CLICK NOW! KEY FEATURES INCLUDE All Wheel Drive, Power Liftgate, Turbocharged, iPod/MP3 Input, CD Player, Onboard Communications System, Aluminum Wheels, Dual Zone A/C Rear Spoiler, MP3 Player, Keyless Entry, Remote Trunk Release, Privacy Glass. VEHICLE REVIEWS . the 2015 X3 SUV is a luxury car, meaning it's quiet, comfortable, and feature-laden to the point that you might actually look forward to your commute, instead of dreading it. -KBB.com. Great Gas Mileage: 28 MPG Hwy. PRICED TO MOVE This X3 xDrive28i is priced $400 below NADA Retail. BUY WITH CONFIDENCE CARFAX 1-Owner VISIT US TODAY Huge Selection - Low Prices - Award Winning Service. Let our Family work for you - Since 1933! Pricing analysis performed on 3/22/2019. Fuel economy calculations based on original manufacturer data for trim engine configuration. Please confirm the accuracy of the included equipment by calling us prior to purchase. ONLY 48,028 Miles! PRICED TO MOVE $1,100 below NADA Retail! Performance Collection trim. Heated Leather Seats, Entertainment System, Nav System, Moonroof, Panoramic Roof, Back-Up Camera, Premium Sound System, All Wheel Drive CLICK NOW! KEY FEATURES INCLUDE Leather Seats, Navigation, Sunroof, Panoramic Roof, Heated Driver Seat, Back-Up Camera, Premium Sound System, Satellite Radio, Onboard Communications System, Remote Engine Start, Dual Zone A/C, Blind Spot Monitor, Cross-Traffic Alert, Heated Seats, Heated Leather Seats. MP3 Player, Keyless Entry, Child Safety Locks, Steering Wheel Controls, Electronic Stability Control. OPTION PACKAGES ENTERTAINMENT SYSTEM, REAR SEAT DUAL-PLAYER DVD with Blu-Ray video and music compatibility, wireless headphones and remote control, WHEELS, 20 X 8 (50.8 CM X 20.3 CM) CHROME, BRIGHT FINISH, ENGINE, 3.6L SIDI DOHC V6 VVT (308 hp [229.7 kW] @ 6800 rpm, 265 lb-ft of torque [357.8 N-m] @ 2400 rpm) (STD), TRANSMISSION, 6-SPEED AUTOMATIC, AWD, 6T70 with tap-up/tap-down (on shifter), performance shifting and manual-up/manual-down (STD), AUDIO SYSTEM, AM/FM STEREO, SINGLE DISC CD PLAYER dual USB ports, SD card slot and auxiliary jack (STD). Cadillac Performance Collection with Platinum Ice Tricoat exterior and Light Titanium w/Ebony accents interior features a V6 Cylinder Engine with 308 HP at 6800 RPM*. EXCELLENT VALUE This SRX is priced $1,100 below NADA Retail. VISIT US TODAY Huge Selection - Low Prices - Award Winning Service. Let our Family work for you - Since 1933! Pricing analysis performed on 4/24/2019. Horsepower calculations based on trim engine configuration. Please confirm the accuracy of the included equipment by calling us prior to purchase. CARFAX 1-Owner, ONLY 19,392 Miles! JUST REPRICED FROM $28,988, EPA 25 MPG Hwy/19 MPG City! Heated Leather Seats, Navigation, Sunroof, Panoramic Roof, Power Liftgate, Heated Rear Seat, Alloy Wheels, SNOW WHITE PEARL SEE MORE! TOM O'BRIEN DEALER CERTIFIED 7-Year/100,000-Mile Powertrain warranty, 3-Month/3,000-Mile Platinum Coverage, Rigorous 73-Point Inspection, 24-Hour Roadside Assistance / 24-Hour Towing (1 Year Membership), Carfax Vehicle History Report, Long Term Service Contracts Available. KEY FEATURES INCLUDE Leather Seats, Navigation, Sunroof, Panoramic Roof, All Wheel Drive, Power Liftgate, Heated Driver Seat, Heated Rear Seat, Cooled Driver Seat, Back-Up Camera, Turbocharged, Premium Sound System, Satellite Radio, iPod/MP3 Input, Bluetooth Rear Spoiler, MP3 Player, Privacy Glass, Keyless Entry, Remote Trunk Release. OPTION PACKAGES SNOW WHITE PEARL. Kia SXL with Snow White Pearl exterior and Satin Black interior features a 4 Cylinder Engine with 240 HP at 6000 RPM*. EXPERTS RAVE KBB.com's review says The 6-speed automatic transmission is as smooth and unobtrusive as you could hope for, and the suspension never called attention to itself for being too harsh or too soft.. Great Gas Mileage: 25 MPG Hwy. PRICED TO MOVE Reduced from $28,988. VISIT US TODAY Huge Selection - Low Prices - Award Winning Service. Let our Family work for you - Since 1933! Pricing analysis performed on 4/4/2019. Horsepower calculations based on trim engine configuration. Fuel economy calculations based on original manufacturer data for trim engine configuration. Please confirm the accuracy of the included equipment by calling us prior to purchase. ONLY 43,923 Miles! JUST REPRICED FROM $17,988, FUEL EFFICIENT 25 MPG Hwy/19 MPG City! Santa Fe Sport trim. iPod/MP3 Input, Bluetooth, CD Player, Alloy Wheels, All Wheel Drive, Satellite Radio. READ MORE! KEY FEATURES INCLUDE All Wheel Drive, Satellite Radio, iPod/MP3 Input, Bluetooth, CD Player, Aluminum Wheels Rear Spoiler, MP3 Player, Privacy Glass, Keyless Entry, Child Safety Locks. EXPERTS ARE SAYING Edmunds.com explains The 2015 Hyundai Santa Fe Sport has one of the nicer cabins you'll find in an affordable crossover. Highlights include above-average materials quality, a sleek dashboard and an overall sense of spaciousness.. Great Gas Mileage: 25 MPG Hwy. AFFORDABILITY Was $17,988. BUY FROM AN AWARD WINNING DEALER Huge Selection - Low Prices - Award Winning Service. Let our Family work for you - Since 1933! Pricing analysis performed on 4/11/2019. Fuel economy calculations based on original manufacturer data for trim engine configuration. Please confirm the accuracy of the included equipment by calling us prior to purchase. Extra Clean, CARFAX 1-Owner, ONLY 44,954 Miles! WAS $21,990, $300 below Kelley Blue Book! Third Row Seat, Heated Seats, CD Player CLICK NOW! EXCELLENT SAFETY FOR YOUR FAMILY Child Safety Locks, Electronic Stability Control, Brake Assist, 4-Wheel ABS, 4-Wheel Disc Brakes, Tire Pressure Monitoring System Safety equipment includes Child Safety Locks Hyundai GLS with Becketts Black exterior and Gray interior features a V6 Cylinder Engine with 290 HP at 6400 RPM*. PRICED TO MOVE Reduced from $21,990. This Santa Fe is priced $300 below Kelley Blue Book. VEHICLE FEATURES Rear Spoiler, MP3 Player, Privacy Glass, Keyless Entry, Steering Wheel Controls. Non-Smoker vehicle. EXPERTS RAVE Edmunds.com's review says Among the numerous competing crossover SUVs in its class, the 2014 Hyundai Santa Fe has one of the nicer cabins of the bunch. This is thanks in no small part to its exceptional materials quality, the thoughtful placement of its controls and its overall spaciousness.. Great Gas Mileage: 24 MPG Hwy. OUR OFFERINGS This great value located at O'Brien Toyota in Indianapolis. See the difference being family-owned makes in your customer service. Our family works for you. Since 1933. Pricing analysis performed on 4/18/2019. Horsepower calculations based on trim engine configuration. Fuel economy calculations based on original manufacturer data for trim engine configuration. Please confirm the accuracy of the included equipment by calling us prior to purchase. FUEL EFFICIENT 32 MPG Hwy/25 MPG City! CARFAX 1-Owner. CD Player, Bluetooth Connection, Keyless Start, Smart Device Integration SEE MORE! KEY FEATURES INCLUDE All Wheel Drive, Back-Up Camera, Satellite Radio, Auxiliary Audio Input, Bluetooth Connection, CD Player, Aluminum Wheels, Keyless Start, Multi-Zone A/C, Smart Device Integration. Rear Spoiler, MP3 Player, Remote Trunk Release, Privacy Glass, Keyless Entry. OUR OFFERINGS This great value located at O'Brien Toyota in Indianapolis. See the difference being family-owned makes in your customer service. Our family works for you. Since 1933. Fuel economy calculations based on original manufacturer data for trim engine configuration. Please confirm the accuracy of the included equipment by calling us prior to purchase. CARFAX 1-Owner, Extra Clean. EPA 31 MPG Hwy/34 MPG City! Sunroof, Navigation, iPod/MP3 Input, Hybrid, Keyless Start, Dual Zone A/C AND MORE! KEY FEATURES INCLUDE Sunroof, All Wheel Drive, Power Liftgate, Hybrid, iPod/MP3 Input, Aluminum Wheels, Keyless Start, Dual Zone A/C. Rear Spoiler, Remote Trunk Release, Privacy Glass, Keyless Entry, Child Safety Locks. OPTION PACKAGES RADIO: ENTUNE DISPLAY AUDIO W/NAVIGATION 6.1 touch-screen w/integrated backup camera display, AM/FM CD player w/MP3/WMA playback capability, 6-speakers in 6 locations, SiriusXM Radio, HD Radio w/iTunes Tagging, auxiliary audio jack, USB port w/iPod connectivity and control, vehicle information w/customizable settings, hands-free phone capability, phone book access, advanced voice recognition, text-to-speech w/programmed and customizable test responses and music streaming via Bluetooth wireless technology, PROTECTION PACKAGE Mudguards, Door Edge Guards, Alloy Wheel Locks, Body Side Molding. Toyota XLE with Black Sand Pearl exterior and Ash interior features a 4 Cylinder Engine with 194 HP at 5700 RPM*. Serviced here, Non-Smoker vehicle. SHOP WITH CONFIDENCE CARFAX 1-Owner BUY FROM AN AWARD WINNING DEALER This great value located at O'Brien Toyota in Indianapolis. See the difference being family-owned makes in your customer service. Our family works for you. Since 1933. Pricing analysis performed on 4/12/2019. Horsepower calculations based on trim engine configuration. Fuel economy calculations based on original manufacturer data for trim engine configuration. Please confirm the accuracy of the included equipment by calling us prior to purchase. CARFAX 1-Owner, GREAT MILES 29,863! EPA 31 MPG Hwy/34 MPG City! Moonroof, iPod/MP3 Input, Satellite Radio, Bluetooth, Dual Zone A/C READ MORE! KEY FEATURES INCLUDE Sunroof, All Wheel Drive, Power Liftgate, Back-Up Camera, Hybrid, Satellite Radio, iPod/MP3 Input, Bluetooth, Aluminum Wheels, Keyless Start, Dual Zone A/C. Rear Spoiler, MP3 Player, Privacy Glass, Keyless Entry, Remote Trunk Release. Toyota XLE with SUPER WHITE exterior and ASH interior features a 4 Cylinder Engine with 194 HP at 5700 RPM*. PURCHASE WITH CONFIDENCE CARFAX 1-Owner WHO WE ARE This great value located at O'Brien Toyota in Indianapolis. See the difference being family-owned makes in your customer service. Our family works for you. Since 1933. Pricing analysis performed on 4/16/2019. Horsepower calculations based on trim engine configuration. Fuel economy calculations based on original manufacturer data for trim engine configuration. Please confirm the accuracy of the included equipment by calling us prior to purchase. CARFAX 1-Owner. $300 below Kelley Blue Book!, EPA 31 MPG Hwy/34 MPG City! Heated Seats, Nav System, Moonroof, Satellite Radio READ MORE! KEY FEATURES INCLUDE Navigation, Sunroof, All Wheel Drive, Power Liftgate, Heated Driver Seat, Back-Up Camera, Hybrid, Satellite Radio, iPod/MP3 Input, Bluetooth, Aluminum Wheels, Keyless Start, Dual Zone A/C, Smart Device Integration, Lane Keeping Assist. Rear Spoiler, MP3 Player, Privacy Glass, Remote Trunk Release, Keyless Entry. OPTION PACKAGES ADVANCED TECHNOLOGY PACKAGE 7 JBL audio, Panoramic View Monitor. Toyota Limited with MAGNETIC GRAY METALLIC exterior and ASH interior features a 4 Cylinder Engine with 194 HP at 5700 RPM*. A GREAT TIME TO BUY This RAV4 Hybrid is priced $300 below Kelley Blue Book. SHOP WITH CONFIDENCE CARFAX 1-Owner WHO WE ARE This great value located at O'Brien Toyota in Indianapolis. See the difference being family-owned makes in your customer service. Our family works for you. Since 1933. Pricing analysis performed on 4/12/2019. Horsepower calculations based on trim engine configuration. Fuel economy calculations based on original manufacturer data for trim engine configuration. Please confirm the accuracy of the included equipment by calling us prior to purchase. CARFAX 1-Owner, LOW MILES - 54,761! PRICE DROP FROM $27,488, FUEL EFFICIENT 26 MPG Hwy/19 MPG City! Sunroof, 3rd Row Seat, Heated Leather Seats, All Wheel Drive, Power Liftgate, [B94] ROOF RAIL CROSS BARS, [P01] PREMIUM PACKAGE TOM O'BRIEN DEALER CERTIFIED 7-Year/100,000-Mile Powertrain warranty, 3-Month/3,000-Mile Platinum Coverage KEY FEATURES INCLUDE Leather Seats, Third Row Seat, Sunroof, All Wheel Drive, Power Liftgate. OPTION PACKAGES PREMIUM PACKAGE Enhanced Intelligent Key Memory Stores an occupant memory position, last used audio, climate control and navigation settings, 2-Way Driver's Seat Power Lumbar Support, Heated Steering Wheel, Outside Mirrors w/Reverse Tilt-Down Feature, Dual Occupant Memory System For driver's seat, steering wheel and outside mirrors, Entry & Exit Assist For driver's seat and steering wheel, Remote Engine Start, Radio: AM/FM/CD/DVD w/MP3 Playback Capability, BOSE 13-speaker premium audio system, Radio Data System (RDS) and speed-sensitive volume control, ROOF RAIL CROSS BARS. INFINITI QX60 with Graphite Shadow exterior and Graphite interior features a V6 Cylinder Engine with 265 HP at 6400 RPM*. EXPERTS ARE SAYING Edmunds.com explains Ample passenger room in all three rows; smooth and quiet ride; classy interior design; user-friendly electronics interface.. Great Gas Mileage: 26 MPG Hwy. AFFORDABLE TO OWN Was $27,488. SHOP WITH CONFIDENCE CARFAX 1-Owner MORE ABOUT US You've come to the right dealership! At Tom O'Brien Chrysler Jeep Dodge Ram we provide our Franklin, Indianapolis and Shelbyville customers with everything automotive, including great prices and customer service. You will find your favorite car models at a competitive price. Pricing analysis performed on 4/23/2019. Horsepower calculations based on trim engine configuration. Fuel economy calculations based on original manufacturer data for trim engine configuration. Please confirm the accuracy of the included equipment by calling us prior to purchase. SUVs are some of the safest vehicles on the road, partly because of their imposing size. When paired with all-wheel drive, these vehicles become a powerhouse that can’t be stopped. An all-wheel-drive system will deliver excellent traction, which helps navitage slippery scenarios with ease, making you feel more confident on the road. AWD can also boost your vehicle’s resale value, fuel economy, and acceleration. 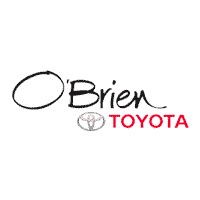 O'Brien Toyota offers a wide inventory of affordable used and Certified Pre-Owned SUVs. Take advantage of our flexible financing, and find a vehicle that meets your needs without breaking the bank. Contact our friendly team today, and get started with a thrilling test drive!